The initial euphoria on the 90 days ceasefire has faded a little overnight as the reality of the situation sets in. It’s also RBA today and the situation continue to get trickier for our central bank. While there is still an overwhelming sense of optimism from ceasefire in the trade war, there is still a great deal of doubt around the ability of the two sides to get a deal done. There is still a large gulf in the rhetoric from both sides which suggests plenty of aggressive negotiations to come over the next 90 days. The focus today will be on the RBA when they deliver the outcome of their December Board meeting at 2:30 this afternoon. The data is slowly drifting away from their central outlook and it is becoming harder to maintain the same glass half full assessment on the economy that we have become accustomed to. Yesterday’s data showed that the housing market deterioration is accelerating with sharp price falls last month. Sydney and Melbourne are leading the way down after leading the way up over the 5 years before the peak. While the RBA is not likely to be too worried as they continue to put the falls in context, as the falls gather pace, the risk that they will feed in to the broader economy grows. We will continue to see more partial indicators of GDP out today ahead of tomorrow’s release. The RBA is sure to have some comments on growth which could give us some indication of what to expect when the final number comes out tomorrow. 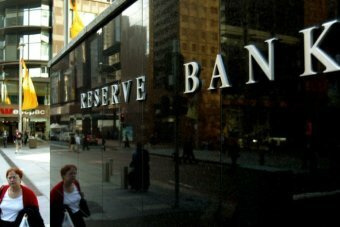 So I expect the RBA to deliver much of the same message as we usually see. Be on watch though for the usual subtle tweak as I expect them to become far more important over the months ahead.